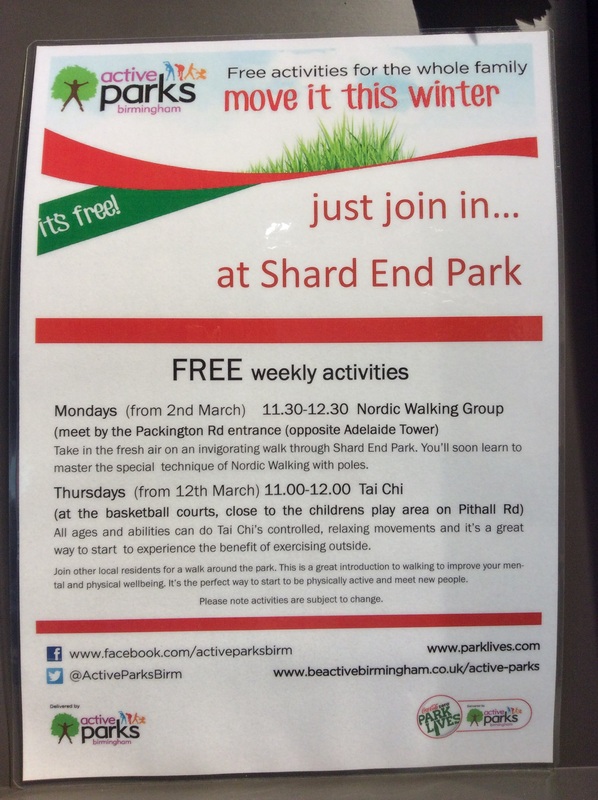 Get active for FREE in Shard End park. 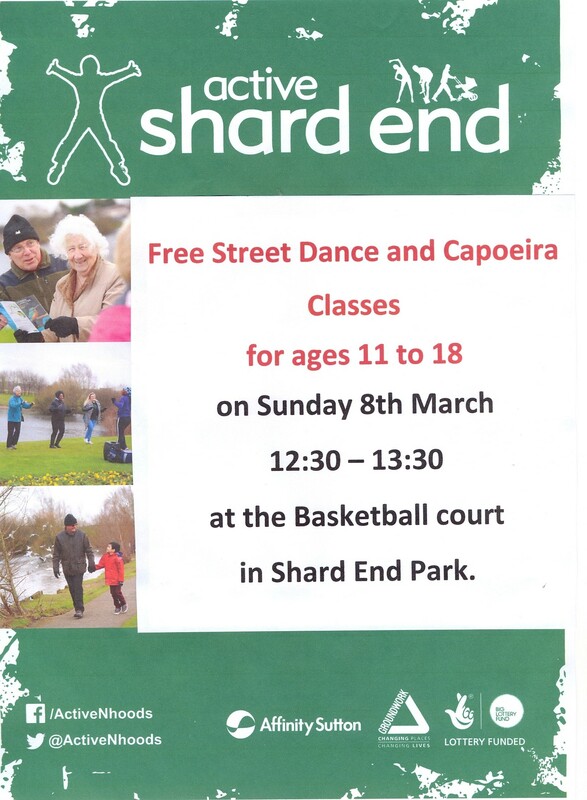 FREE activities in Shard End park. Sounds like a good idea for the new year. The Birmingham section of Kingfisher Country Park is managed from the Hodge Hill Ranger Hub at Sheldon Country Park, telephone 0121 464 8728. We look forward to seeing you in the park. Woodland Trust free trees arrived today! Watch this space for the planting date. 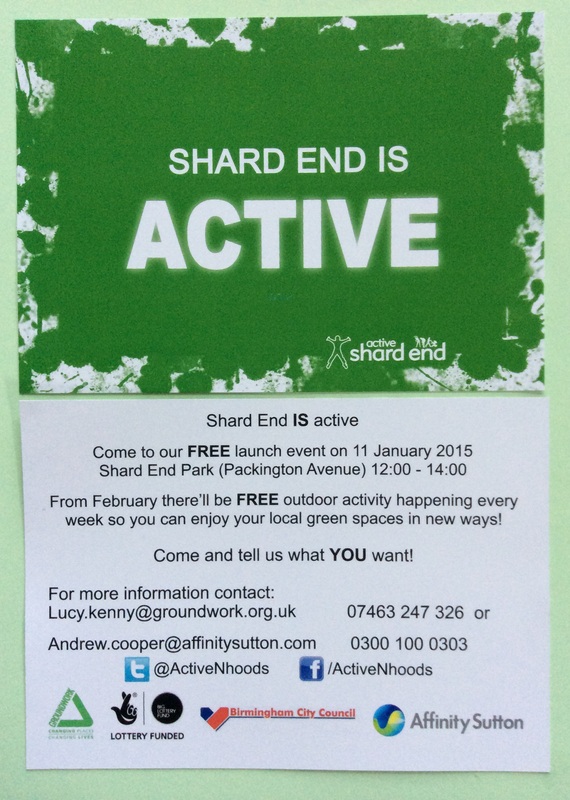 Many thanks to Alcoa for their donation towards our next community woodland.